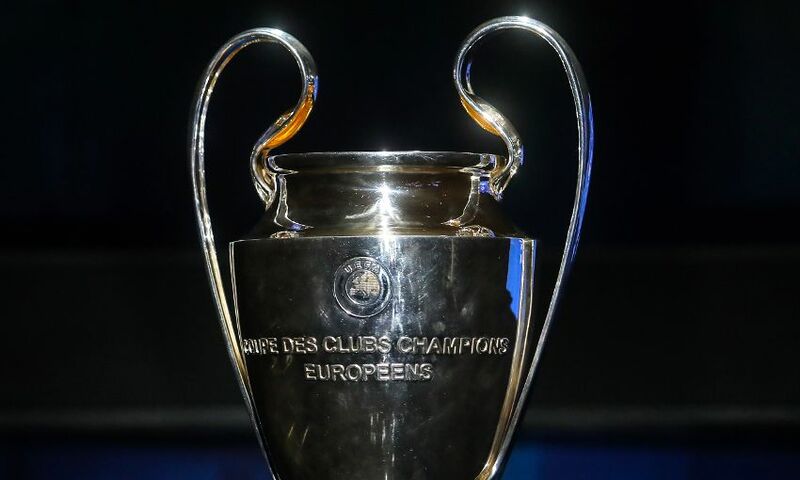 Liverpool's 2018-19 Champions League campaign will begin a week today when Paris Saint-Germain visit Anfield for a mouth-watering Group C opener. Jürgen Klopp's men, who finished runners-up to Real Madrid last term, were also drawn with Serie A side Napoli and Red Star Belgrade in an intriguing section. Les Parisiens regained the Ligue 1 title from AS Monaco last season, finishing 13 points ahead of their rivals, to qualify as domestic champions. They went straight into pot one for the draw and are the highest-seeded team in Group C.
Thomas Tuchel took a year out of management after winning the German Cup with Borussia Dortmund in 2017. The 45-year-old returned to action in the summer to replace treble-winning coach Unai Emery at the Parc des Princes. Very flexible with his tactics and formations at Dortmund, he went with a 4-3-3 as he won the French Super Cup in his first game in charge of PSG and stuck with it through the early stages of the season. However, the German has also switched between a 3-4-1-2 and a 4-2-3-1 in recent matches, making it difficult to predict how the French side might line up, at least tactically, at Anfield. 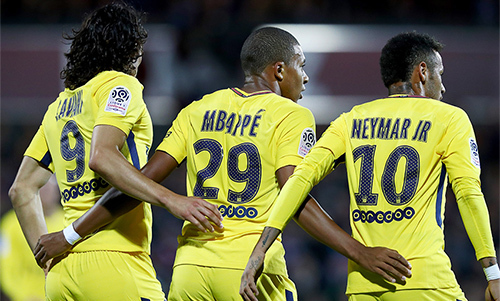 Brazil forward Neymar has been in the headlines ever since he made a record-breaking transfer from Barcelona in August 2017 but the forward might not have the spotlight all to himself this season following Kylian Mbappe's starring role during France's triumph at the 2018 World Cup in Russia. However, the aforementioned star turns were both outscored by the other man in PSG's fearsome attacking triumvirate last season, Edinson Cavani. The clubs have only met twice before, over two legs of a UEFA Cup Winners' Cup semi-final in 1997. Roy Evans' Reds won 2-0 at Anfield but had lost 3-0 at the Parc des Princes and went out of the competition. Napoli pushed serial Serie A winners Juventus all the way during the 2017-18 season but came up four points short and finished second to the Old Lady. They went straight into pot two for the draw. Having taken the club so close to winning a first league title for 28 years, Maurizio Sarri departed for Chelsea in the summer and three-time Champions League-winning coach Carlo Ancelotti was brought in to fill the Italian's substantial shoes. A veteran of the dugout, having enjoyed trophy-laden spells at Juventus, AC Milan, Chelsea, PSG, Real Madrid and Bayern Munich, there is no doubting the 59-year-old's pedigree. Ancelotti has switched from his favoured 4-2-3-1 formation to continue with Napoli's tried and tested 4-3-3 and he's won two out of three games, against AC Milan and Lazio, this season. Much of the Partenopei's play went through Jorginho last term but the Brazilian midfielder followed Sarri to Stamford Bridge in the summer and Napoli are yet to fire on all cylinders in his absence. 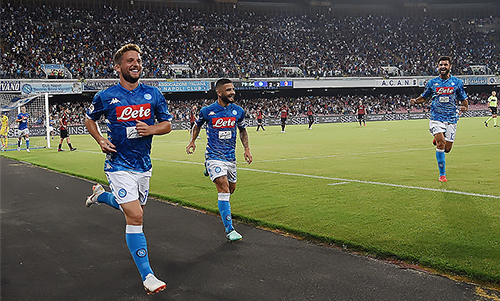 Napoli are another team with a devastating front three and it's difficult to pick just one of Dries Mertens, Lorenzo Insigne or Jose Callejon. That's without even mentioning Slovakian midfield maestro Marek Hamsik. Belgium international Mertens led the team with 22 goals last season, after hitting 28 the season before and missing out on the Serie A golden boot by just one strike, so he probably edges it. The World Cup semi-finalist is being eased back into action from the bench by Ancelotti, who also has a fit-again Arkadiusz Milik at his disposal. Liverpool beat Napoli 5-0 in a pre-season friendly in Dublin this summer, but in terms of competitive matches the clubs have only met twice. Roy Hodgson's Reds beat Walter Mazzarri's side 3-1 at Anfield during the group stages of the 2010-11 Europa League and secured a 0-0 draw at Stadio San Paolo. After winning the European Cup in 1991, Red Star had not reached the group stages of the competition since its rebrand to the Champions League in 1992. But having lifted the Serbian SuperLiga last season, they qualified this term in dramatic fashion, coming from two goals down in their play-off with Red Bull Salzburg to draw 2-2 in Austria and go through on away goals. Former Red Star defender Vladan Milojevic returned to the club as manager in June 2017 and won the Serbian SuperLiga in his first season in charge - beating title-holders FK Partizan in the championship play-offs. A Serbian Cup win with FK Cukaricki in 2014-15 is the other trophy on a CV that includes stints with Cypriot outfit Omonia and Greek side Panionios. Last season's top scorer Aleksandar Pesic was sold to Saudi Arabian side Al-Ittihad Club in the summer and Comoros international striker El Fardou Ben Nabouhane has picked up the slack, scoring nine goals across all competitions this term. 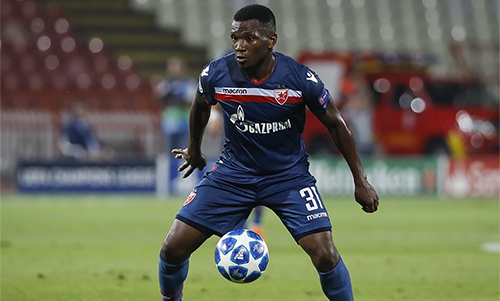 Six of those came in the Champions League qualifying stages, including both strikes in Red Star's comeback in Salzburg. The two clubs have only ever met twice and that was back in 1973 in the European Cup. The Serbian side won both legs of the second-round clash, beating Bill Shankly's Reds 2-1 on each occasion.